Eleven sitting in a grocery store. 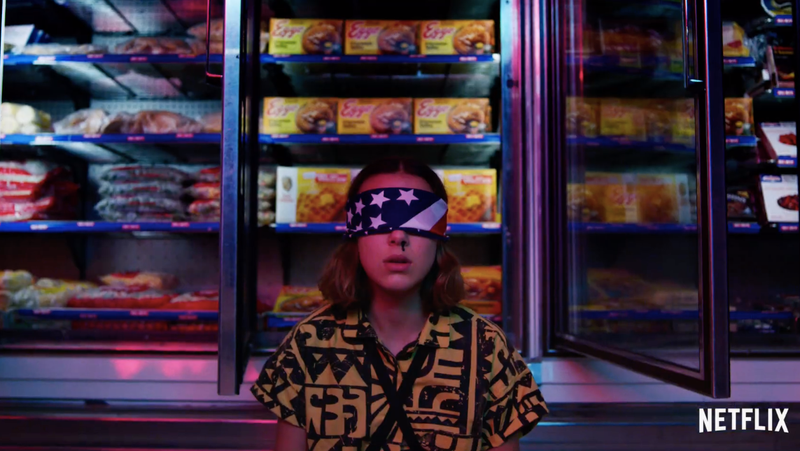 When last we caught up with Stranger Things’ heroes of Hawkins, they’d successfully managed to fend off yet another inter-dimensional threat seeking to breach the divide and enter our world. For about a few seconds it seemed as if Eleven and her friends were going to be able to enjoy their childhoods in peace. This trailer for season three suggests otherwise. While the ending of season two made it clear to audiences that there are yet more monsters the gang would have to fight, none of the characters themselves really knew it and in the first trailer for the new season, we see that for the most part, they’re still hanging out and having a good time. Of course, it’s only a matter of time before Eleven’s got to start using her powers again to go toe-to-toe with a horrific flesh monster if there’s any hope of keeping the residents of Hawkins safe. Stranger Things Season 3 premieres July 4.